What’s Going On At Eagle Ridge? 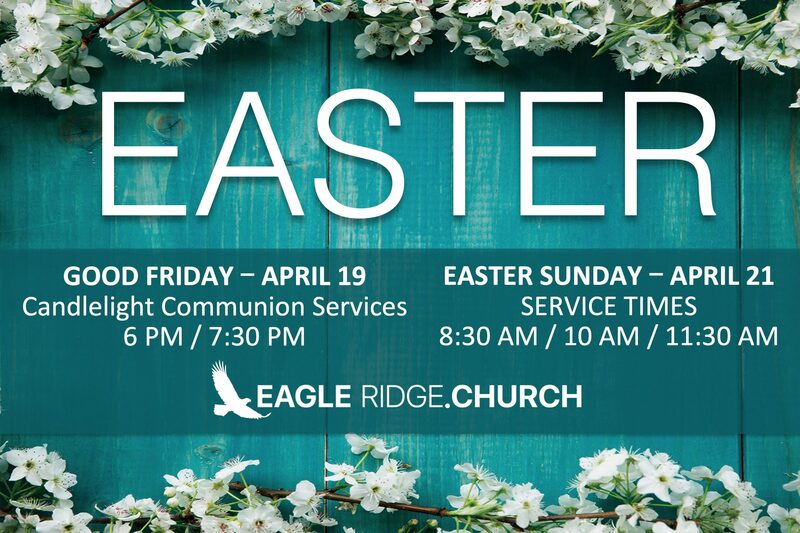 Spring is in the air and everything is fresh and new—including the Easter services at Eagle Ridge Church. We hope you will join us as we remember the events of the first Easter with encouraging messages, great live music and a FREE candy blast from our rooftop for all ages. We believe in building authentic relationships, raising strong families and staying connected to the community. So start a new tradition—bring your family to celebrate Easter with us! Join Eagle Ridge Sunday, April 28th for an amazing experience of laughter and a wonderful message from God’s Word. Nazareth is a powerful communicator with a timely message. Your time spent with Nazareth is more than a performance—it’s an experience—uplifting, inspiring, and exuberantly funny. 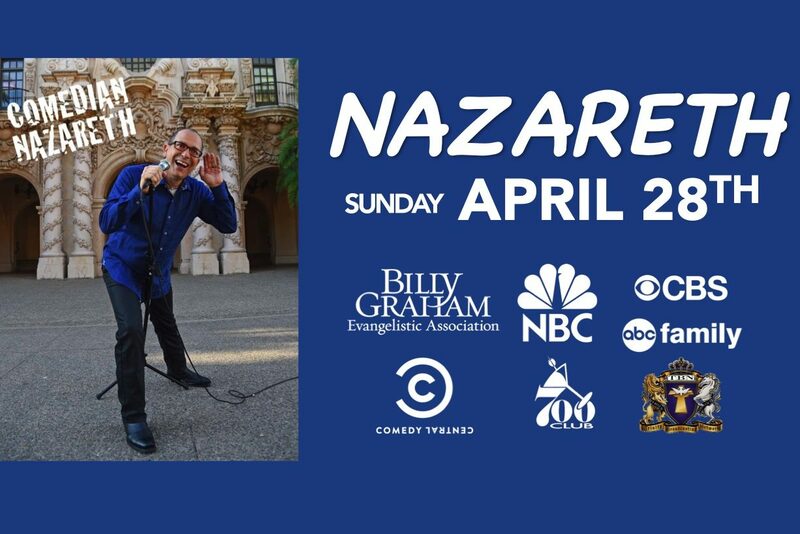 With unique insights into the cultures of both the Middle East and his adopted America, Nazareth’s inspirational comedy has affected millions regardless of their cultural background. You may have seen him on television programs as diverse as Comedy Central, The 700 Club and NBC Nightly News. Renew Women’s Ministry is hosting the”Renew Spring Tea” at Eagle Ridge. 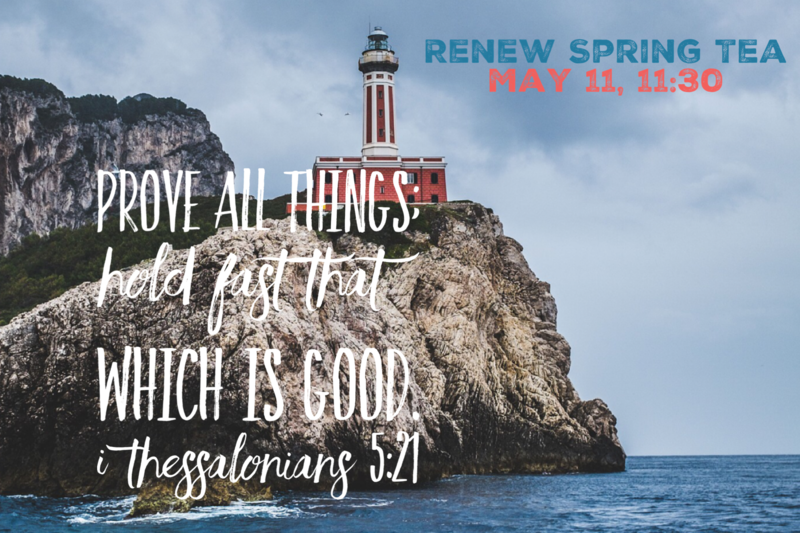 We’re excited to celebrate in fellowship with women of all ages, enjoy a special message from Denise Matthews, and savor a special luncheon tea together, 1st Register, 2nd reserve seat(s) with a table hostess at the Renew table Sundays. Tables seat 8. 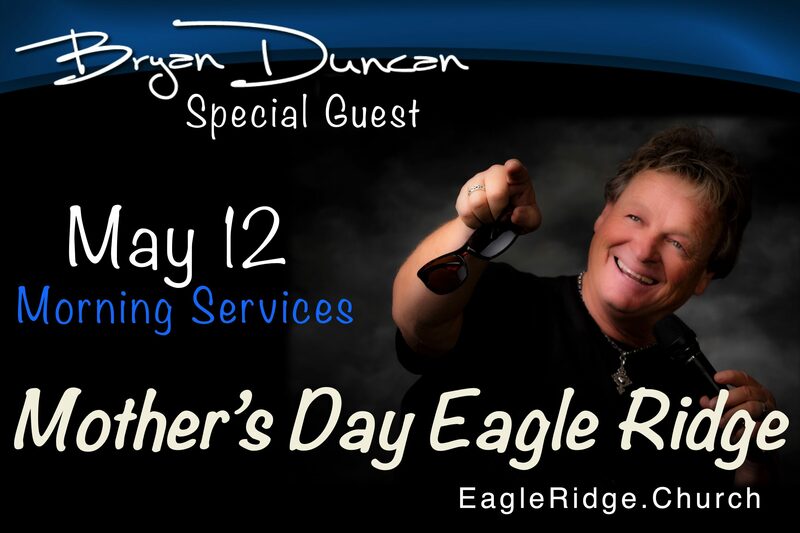 Join us Mother’s Day Sunday, May 12th with our special guest Bryan Duncan. Bryan has released 17 solo albums, featuring 16 number-one radio hits and more than 1.2 million records sold. His latest album is The Live Experience. He has also recorded three albums with The NehoSoul Band and seven albums with the legendary Sweet Comfort Band.